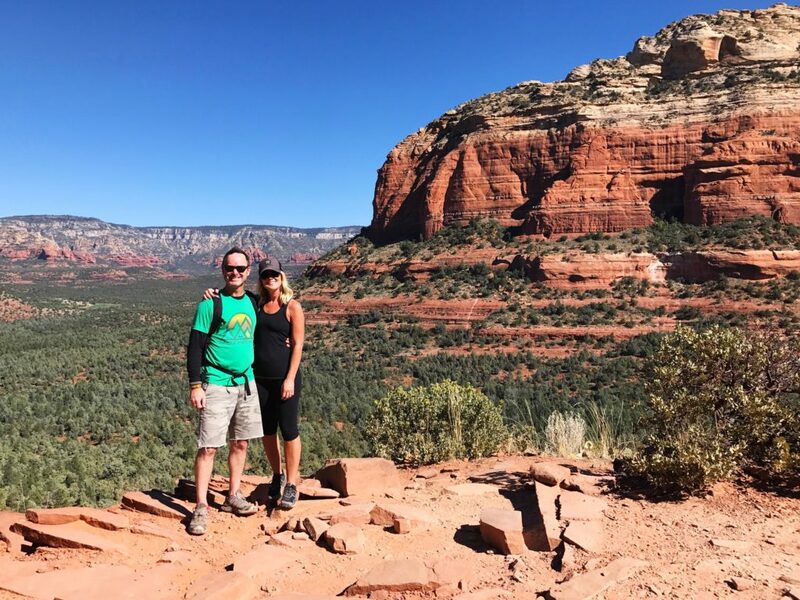 Trip Report | Sedona, Arizona | hi Sugarplum! In the weeks leading up to his birthday last month (it was a pretty big one! ), Mr. SP couldn’t decide if he wanted to celebrate with a party at home, or a weekend getaway with just the two of us. (I know which I was leaning towards!) 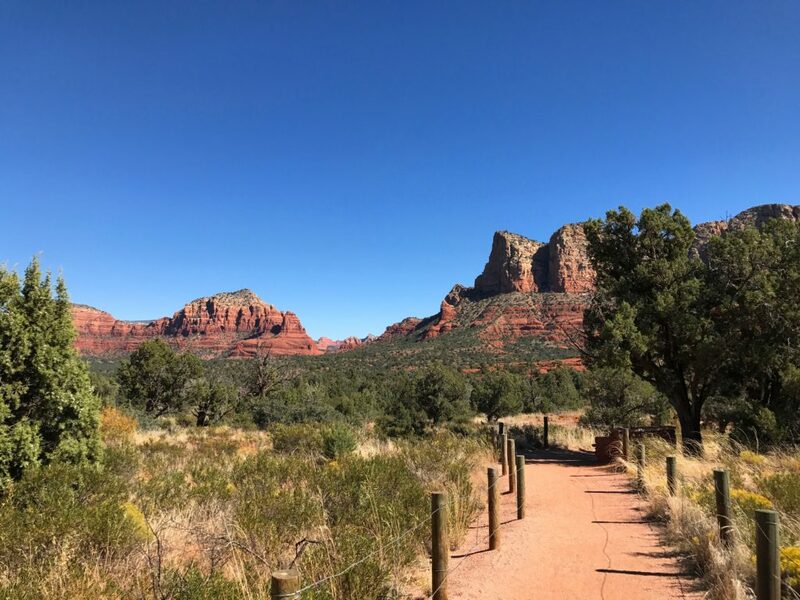 At the last minute, he opted for a trip and I knew just the place…Sedona, Arizona. The town itself is fairly small and easy to navigate in a couple of days, making it a great spot for a long weekend. The two hour drive from Phoenix is stunning, and it’s amazing how quickly the weather and terrain changes. The weather in October is absolutely perfect…and we never saw a single cloud! Days were warm and sunny with the brightest cornflower blue skies, and evenings were brisk and clear with more stars than I’ve ever seen. 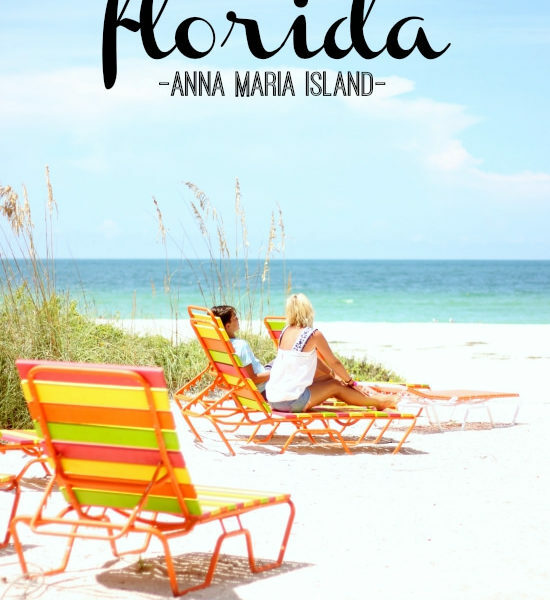 There are an abundance of trails and hikes, as well as art galleries, quirky shops, and divine cafes and restaurants. 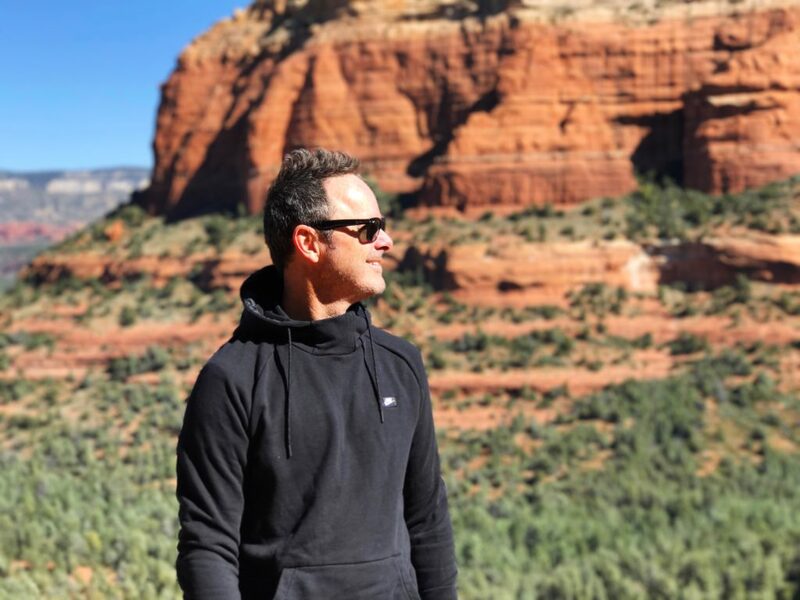 We spent our days hiking the Red Rocks, eating amazing food, and relaxing by the creeks…exactly what he wanted. The biggest lesson we learned from our Tour of National Parks is to bring good hiking shoes! Regular tennis shoes just don’t cut it. I mean, you can get by with a basic gym shoe, but you’ll have to be extra careful and move at a slower pace. This is my third hiking trip with these amazing shoes (I found them at Nordstrom, of all places! ), and I can truly say they make all the difference in the world. I feel like Spiderman in them, able to climb just about any surface! Mr. SP has had his for years, but loves them so much, he had them resoled before this trip! 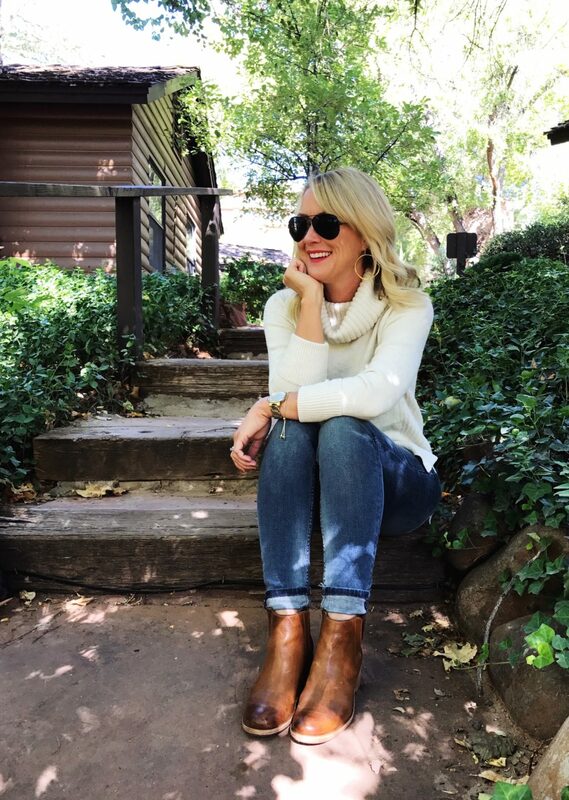 Sugarplum Travel Tip: Mornings were chilly, but the afternoon sun was toasty, so light layers were key. Sunglasses were essential, too! The town is very casual, but there are also opportunities to dress up if you like. Since we were celebrating, we actually dressed for dinner one night. 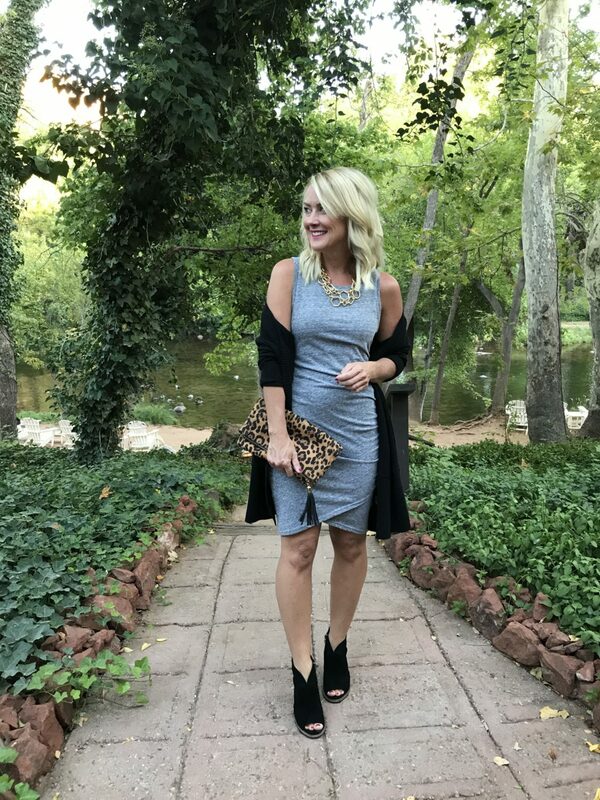 I brought my latest dress obsession, this magical ruched number, along with cardigans to keep warm. Mr. SP stuck with his favorite jeans and a sport coat. The sunrises and sunsets were spectacular, and the whole town seems to pause while they happen. 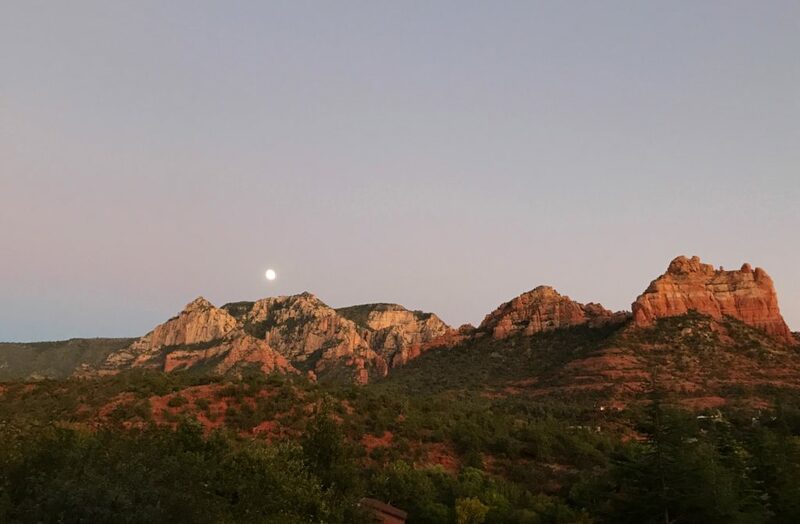 One night we even saw the moon rise over the craggy Red Rocks! The hikes we tackled were no joke, but worth every steep step! 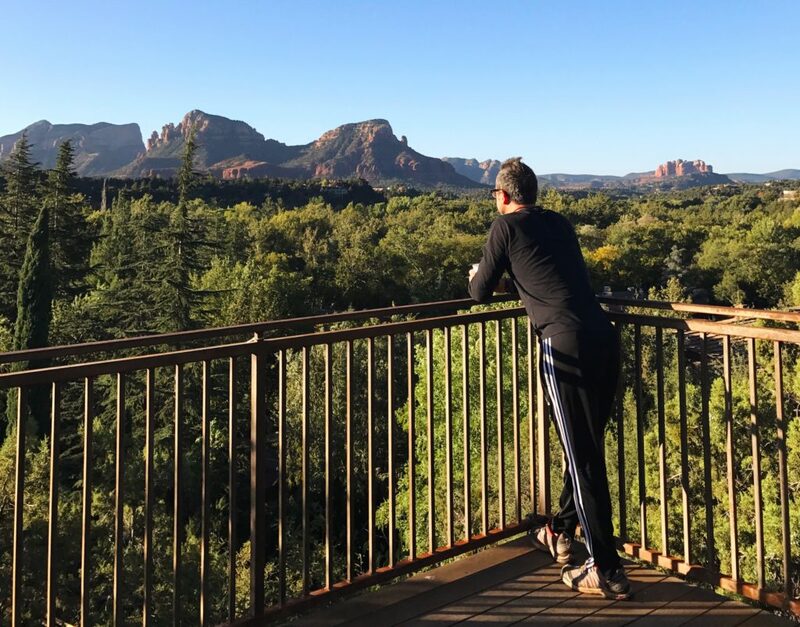 The Grand Canyon is a short two-hour drive north, but honestly I think Sedona has plenty to offer without a day trip! Sidenote: Funny story about this picture…all the hikers take turns walking out on Devil’s Bridge to get the cool shot. So there’s a small crowd waiting and watching. After a couple of pics, I hollered out at Mr. SP that I was going to jump (you know I love a good jumping pic!). Well, it took me a second to get my nerve, because it feels reeeeeeallly narrow when you’re standing on the bridge, and then I jumped with all my might. And everyone howled with laughter! Apparently, even though this pic looks like I got some air, my feet barely left the ground! 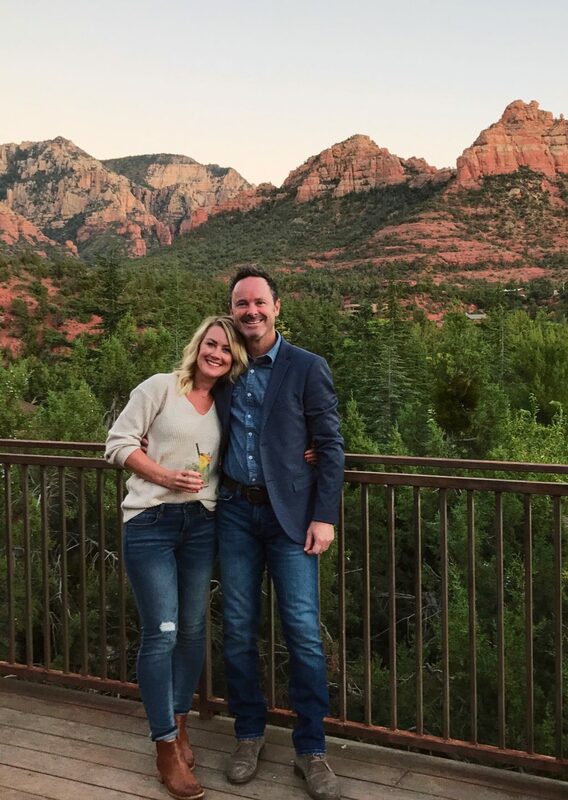 L’Auberge de Sedona ~ This hotel is out of our usual travel budget, but since it was such a quick, celebratory visit, we decided to splurge. The property was stunning…nestled in a ravine next to a rushing creek, with stand-alone cottages, an abundance of peaceful nooks, and an awe-inspiring platform to view the sunrises and sets. The people were delightful, the rooms gorgeous and comfortable, and you can’t beat breakfast by the creek! We loved every second there, but I can’t say I’d make that splurge again. We’d likely opt for the Kimpton Amara Hotel (right next door). Another amazing option is the Enchantment Hotel, which is a bit outside of town (and fully booked the weekend we visited). SaltRock Kitchen and Craft Margaritas ~ Funny enough, this is the house restaurant to the Kimpton Amara Hotel, but had the best margarita of my life!! Something with jalepeno and passion fruit…oh my, I’m dreaming of it now! And I challenge you to try the corn dip app without licking the plate. We didn’t eat dinner, but rather enjoyed drinks and a snack while watching the sun set. Mariposa Latin Grill ~ Walls of glass provide amazing sunset views in this lively dinner spot. 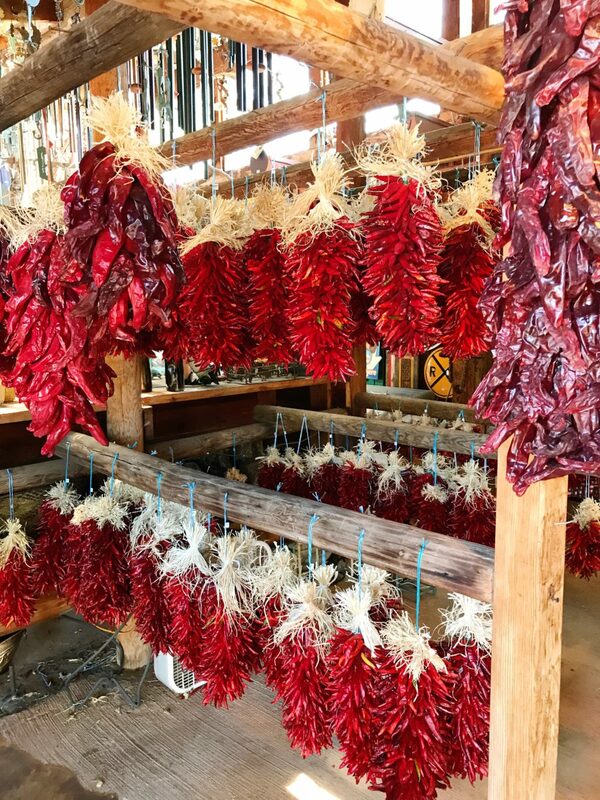 Indian Gardens Cafe and Market ~ A delightful stop on the way to Oak Creek Canyon, they have delicious breakfasts and smoothies, and make a mean sandwich for a mountaintop picnic! Red Rock Cafe ~ This unassuming spot lives in a bland strip mall, but manages to be one of the top-recommended places to eat in Sedona! I don’t know if it was because we’d just spent 4-hours hiking, or if they were genuinely the best pancakes and eggs I’d ever had! Elote Cafe ~ Tell anyone you’re going to Sedona, and they’ll tell you to eat dinner here. But good luck getting a table. They don’t take reservations, and unless you show up an hour before opening (no, thanks), or are willing to wait 90-minutes (um, no), your chances are slim. But it’s so highly-recommended, I wanted to mention it. Style Sidenote: Mr. SP is a life-long, hard-core fan of relaxed jeans. In other words, the baggier the better. #thumbsdown But by some miracle, I found a style of slim jeans that he’ll not only wear, but actually loves wearing! He says these are slim through the leg, but not constricting in the thighs and bum. In fact, he chooses them over his relaxed fit jeans most of the time now! I seriously might have to write Nordstrom a thank you note. Cathedral Rock Hike ~ This is a short, steep climb into the gaps of Cathedral Rock. 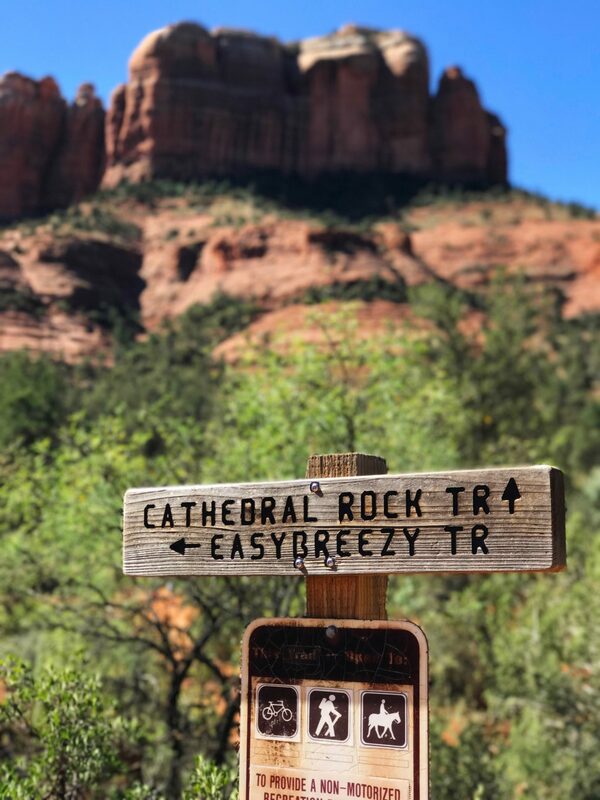 The towering side rocks keep the saddle points shaded and breezy, but the lower portion of the trail is bare red rock with total sun exposure – be careful if you’re doing this in the Summer. There were a few occasions I had to crawl up, or slide down on my bottom. But there aren’t really any cliff’s edges, and we saw several kids. 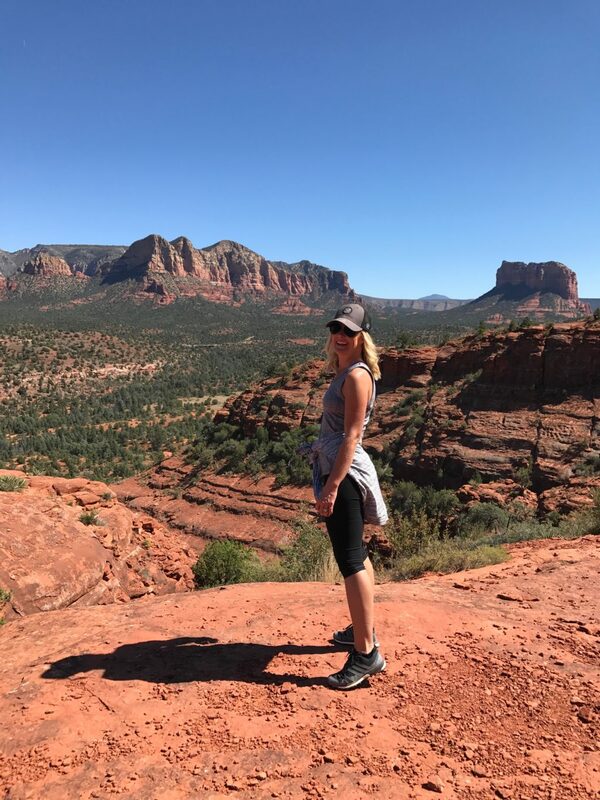 Devil’s Bridge Hike ~ This moderate to steep climb leads to a large, natural stone arch…making for a nauseating, but cool photo! The hardest part was the 1-mile walk from the parking lot to the base of the climb. 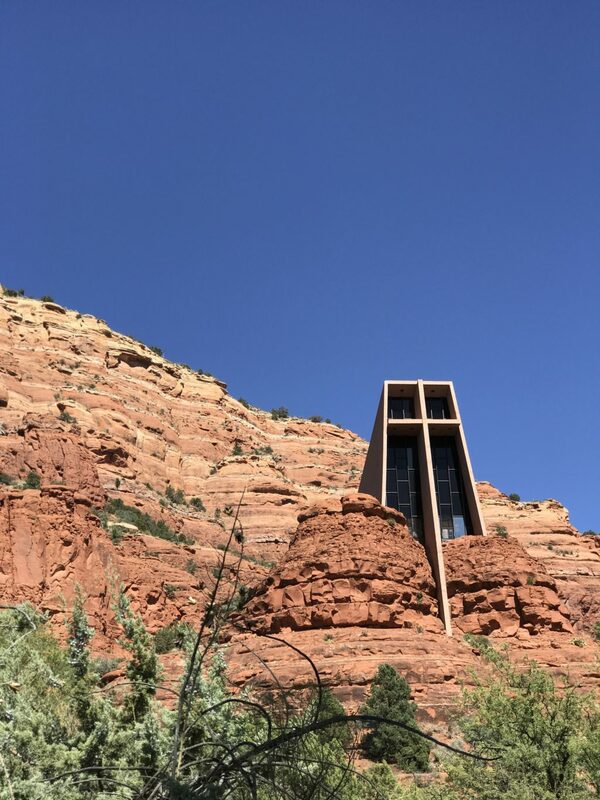 Chapel of the Holy Cross ~ Set in the side of the cliffs, this quick stop is one of Sedona’s most interesting architectural gems. 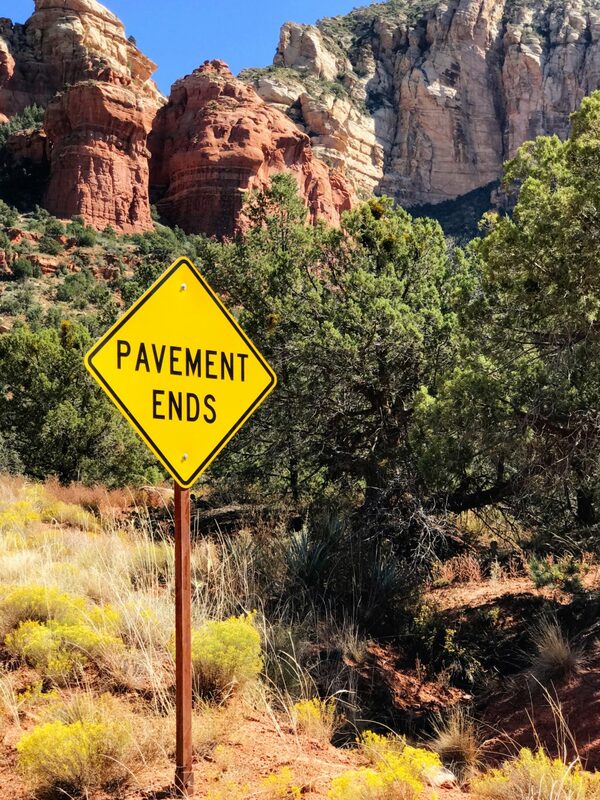 Red Rock Scenic Byway ~ The stretch of road in and around Sedona is an experience in itself! Splurge for a convertible to take in the 360-degree views. 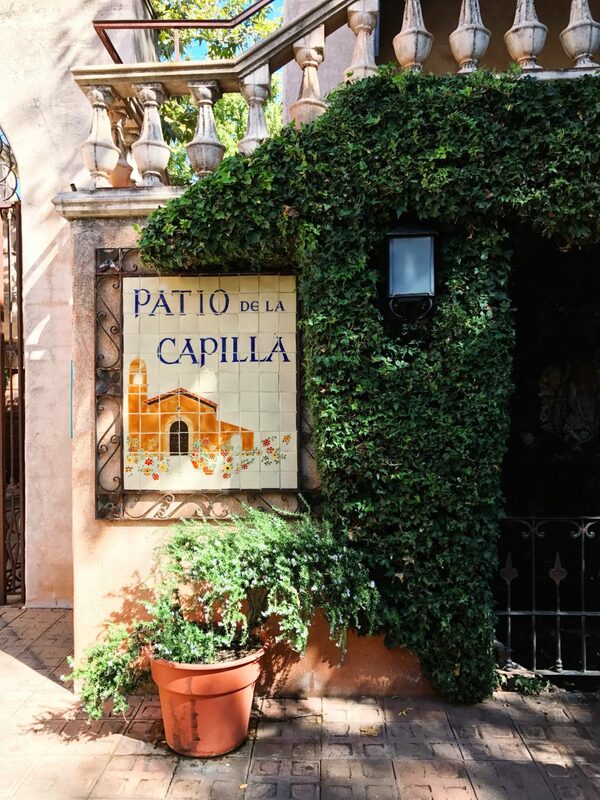 Tlaquepaque Arts and Crafts Village ~ A maze of charming shops, art galleries, crystals, restaurants and more. Son Silver West Gallery ~ Probably the quirkiest spots in Sedona, and easily our fave shop! 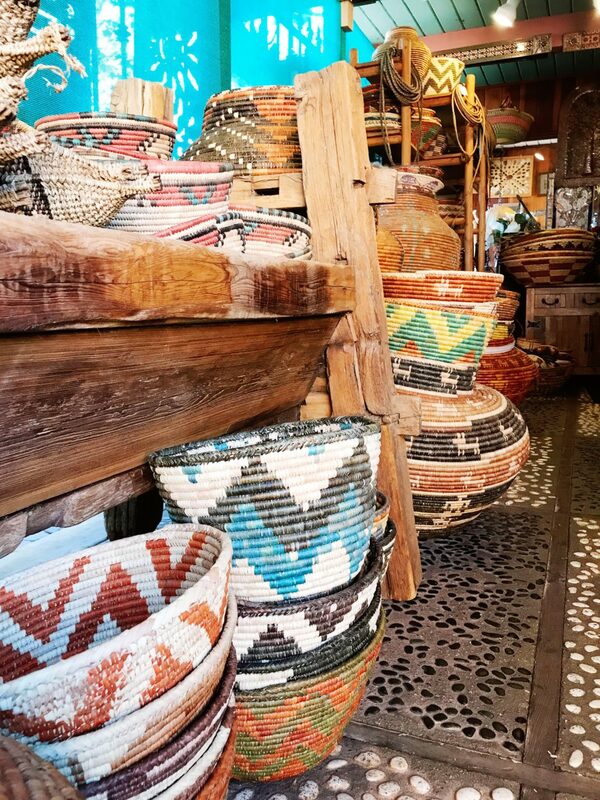 It’s overflowing with pottery, hats, wind chimes, dried chili peppers, baskets, vintage rugs…you name it! 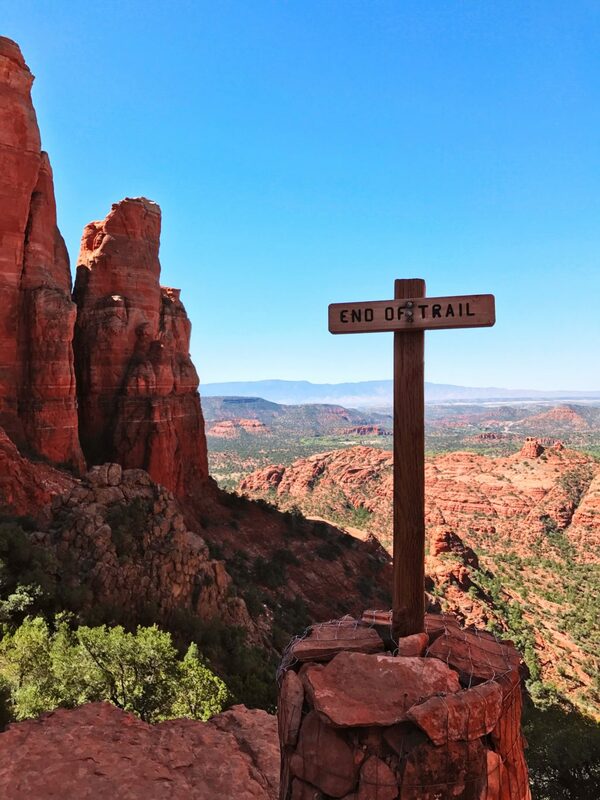 Sugarplum Travel Tip: Sedona is home to hundreds of diverse and epic hikes, and choosing one can be tricky…especially if you’re there for a short visit. The Hike House has an interactive database to help you choose based on your time frame, and ability level. 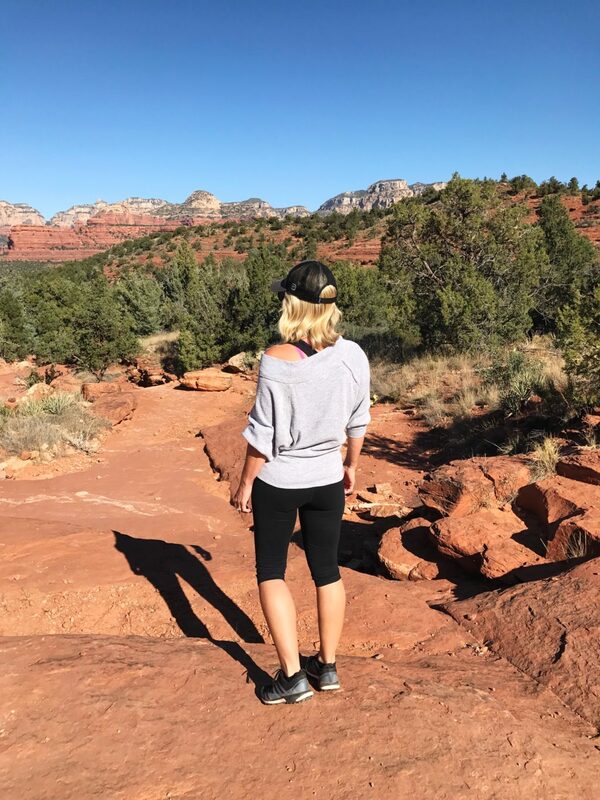 Have you visited Sedona? Did we hit all your fave spots? Check out more of our Travels here. Your photos are amazing – I’d love to visit someday and see the sights for myself in person someday! How did Mr. SP get out onto that scary ledge all by himself?? There is a trail that wraps around and out to that edge. It’s actually not as treacherous as the picture depicts! But really cool, right?!?! Eek! My palms are sweating just looking at some of those cliff shots! Amazing! Looks like a fabulous trip. You two are so cute! I found some “skinny” jeans for my hubs at Banana Republic that he loves. I got the dress (in black) & cardigan(burgundy) for my daughter’s mother-daughter tea this weekend! LOVE! 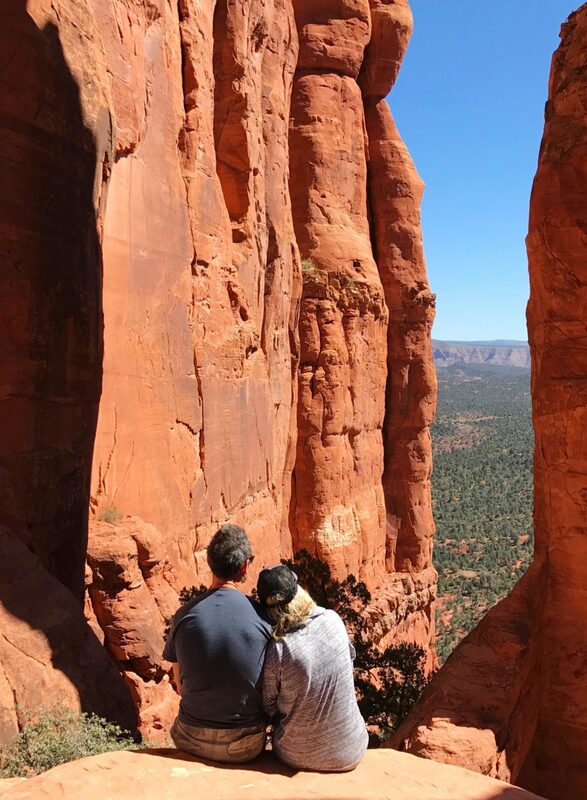 My husband and I visited Sedona 2 years ago and it’s hands down our favorite spot. He’s always asking when we can go back. We did the same Cathedral Rock climb as you. Great climb! Yes…it’s definitely more of a climb than a hike!!! Thank you for sharing your trip! It looked like it was amazing! Thanks for the tip on the jeans-maybe I can convert my guy! Wow! 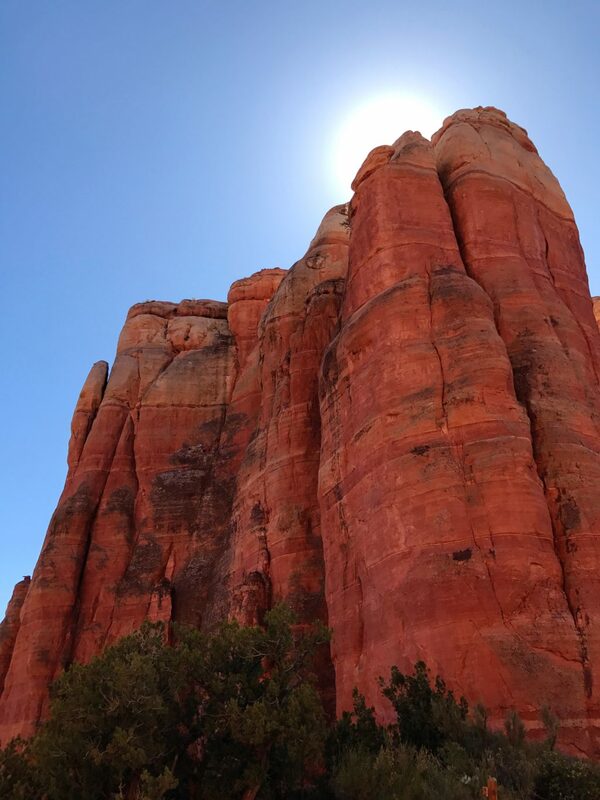 Sedona looks spectacular! I would love to visit it one day! 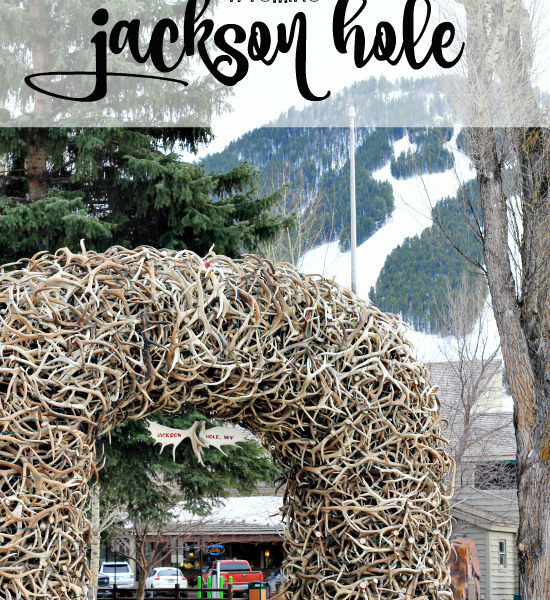 I love the combination of fun outdoorsy with good eats and fun shopping! Fabulous pictures! We did Sedona years ago and loved it. 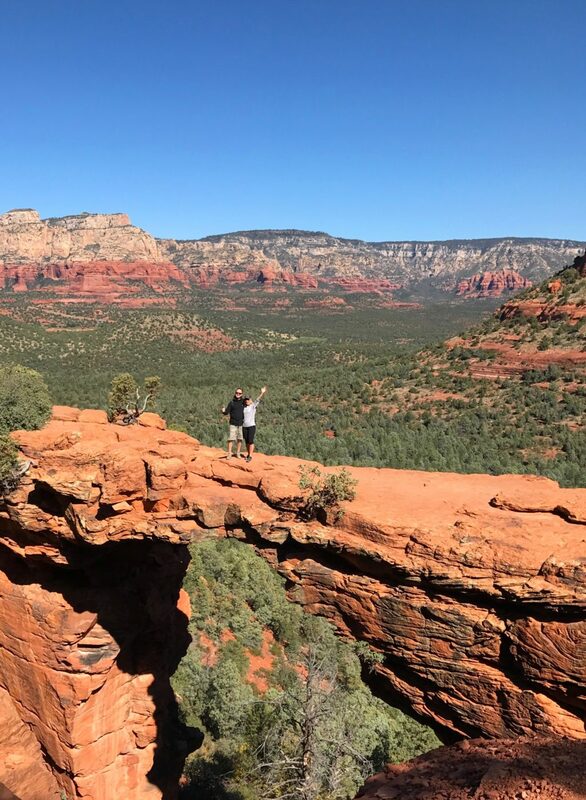 I still have nightmares about taking my son for a hike to Devil’s Bridge! What was I thinking as a mother taking a ten year old boy across that rock bridge?? Crazy!! He lived to tell about it. Ha! I think it’s time to go back. So pretty! My mom did a trip to Sedona about 2-3 years ago and loved every second of it. It was a bit of a culture shock (we’re French Canadians living in the National Capital Region of Ottawa). We don’t have this kind of nature here. My boyfriend’s big 4-0 is coming up next October……he might love that kind of trip! Beautiful photos (as always!) – thank you for sharing those and your recommendations. We are visiting in December and so looking forward to it. What a special trip for a special occasion. This was my big question, seriously these are iphone pics, WOW!! What a great time you two had! I broke my foot really bad while hiking in sneakers, slipped on dry leaves, I need to look into your hiking shoes. Just so beautiful! 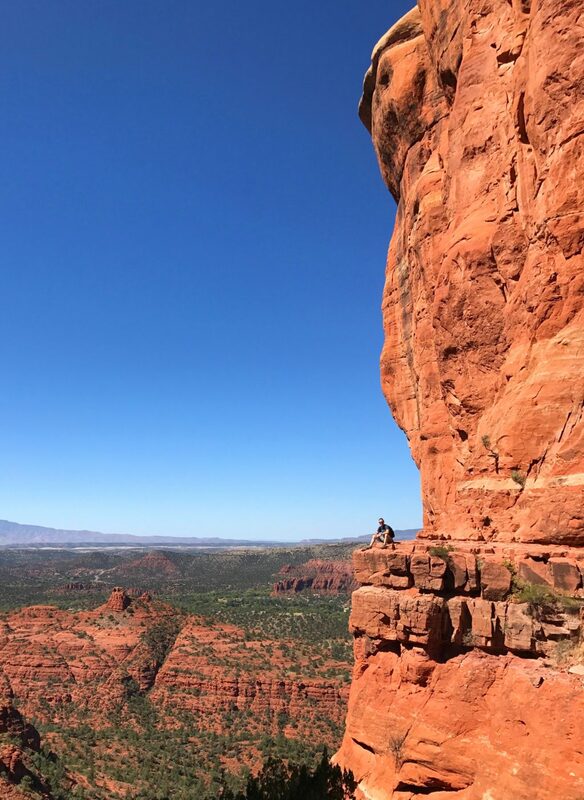 We drove over on Sunday and hiked Soldiers Pass and Brins Mesa….now I wish I had challenged myself with Devils Bridge…beautiful pictures. 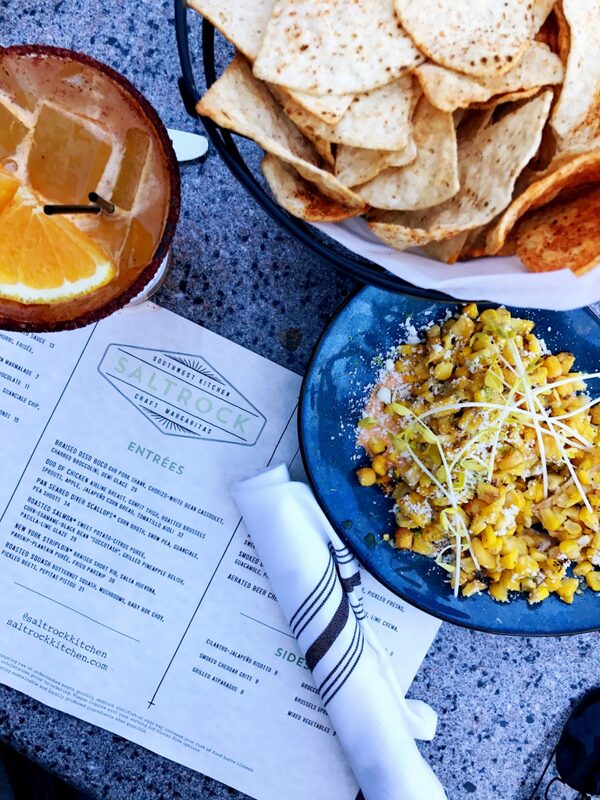 I could not remember where you told me the margarita was from…..but would you believe we ended up at SaltRock anyway? We loved the margaritas and the view and the food was pretty darn tasty too. I loved that it was set away from main street and a little more secluded. Sedona is such a beautiful place. My dad and his wife live there. 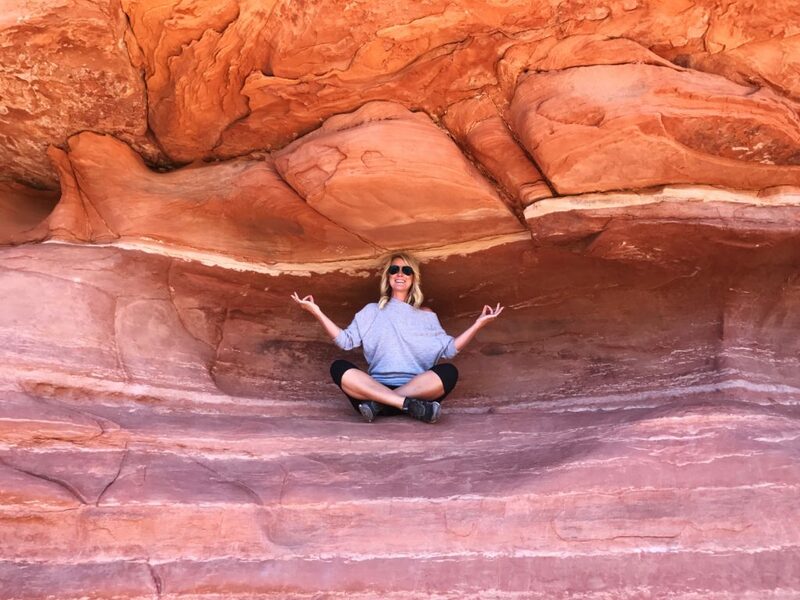 She is a tour guide at Red Rock State Park, which I recommend if you take a second trip. I’m glad to see Mariposa on your list, I was going to suggest it! 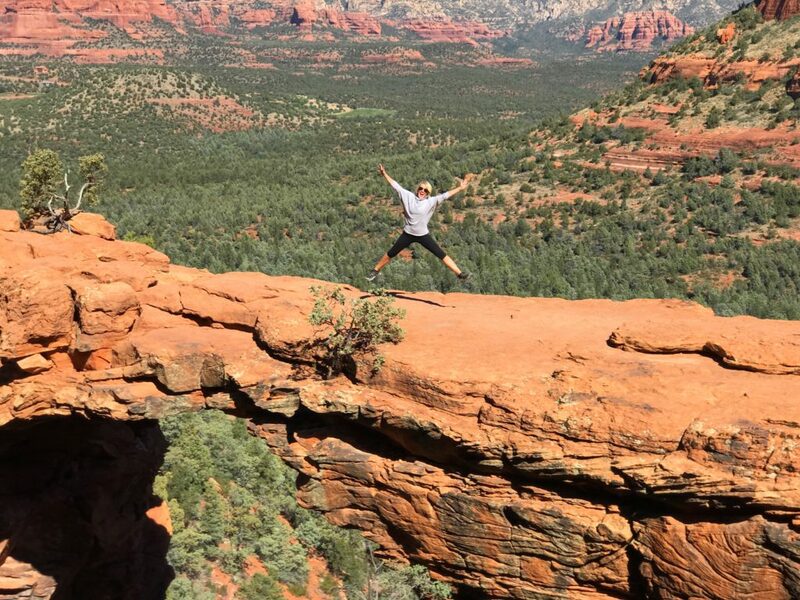 glad you got to sedona, and great pics as usual . i looove it there. 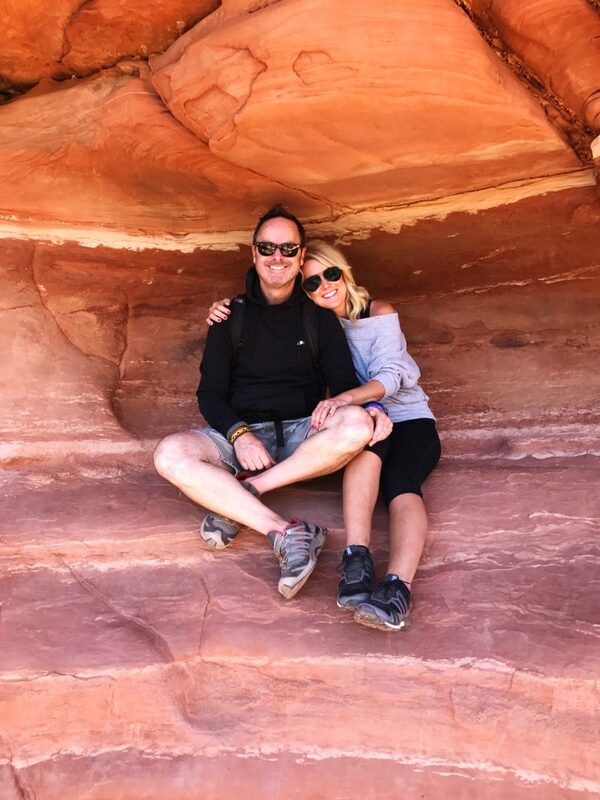 we didn’t do as much hiking as we did on our own national parks tours this summer, but when we went to sedona i allowed the husband to drive us on our own jeep tour on the rocks. super scary but super fun! you guys didn’t do a jeep tour? glad to see you mentioned tlaquepaque (i also REALLY like saying it). we ate at javelina catina, another place i like to say out loud. now, if i could only get my better half in those non loose but non tight jeans…. Thanks so much! We only really had two full days there, but hoping we can get back someday…the Jeep tour sounds amazing! Thank you for this excellent trip report! I’ve been looking to visit someplace new, and special, and I’ve never been to the desert. My husband is familiar with the desert thanks to the U.S.M.C. but in a totally different context. He is interested in visiting Sedona next year around this time so the planning has begun! Gorgeous pictures! Looks like a fantastic trip to celebrate a special birthday. I went to Sedona with girlfriends at least 15 years ago. I still wear the leather bracelet with buffalo nickels I bought at Tlaquepaque. Good memories. Thank you for sharing this. The hubs and I are trying to decide where to go for our 16th anniversary and this just might be it. We took the kids to a west coast trip this summer including the Grand Canyon. He loved it there and has been wanting to go back. 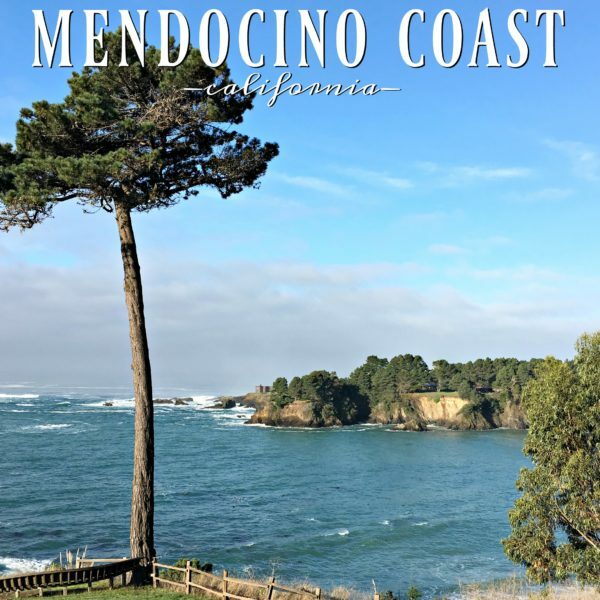 Thank you so much for capturing your beautiful trip and sharing all the details! I truly appreciate all it takes to gather and publish this info in a post. 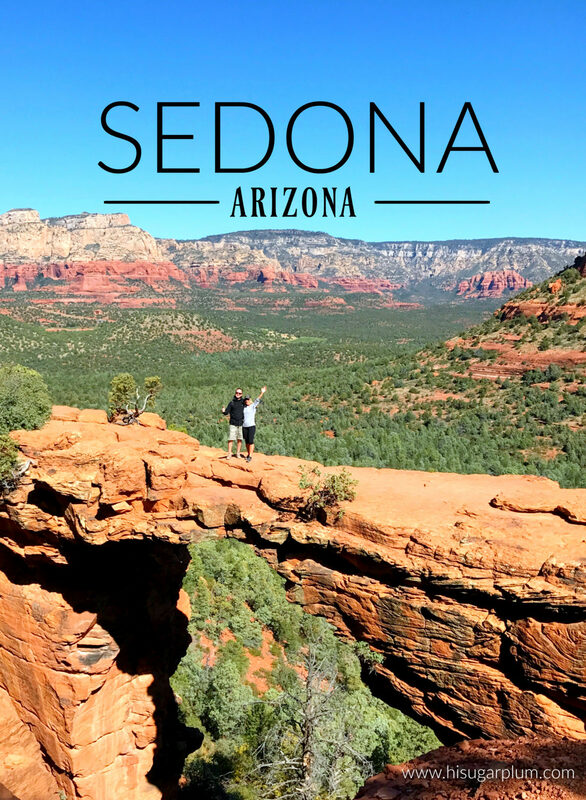 You have saved me so much research time and now Sedona is on my travel list! Thank you, thank you!!! Great pictures! 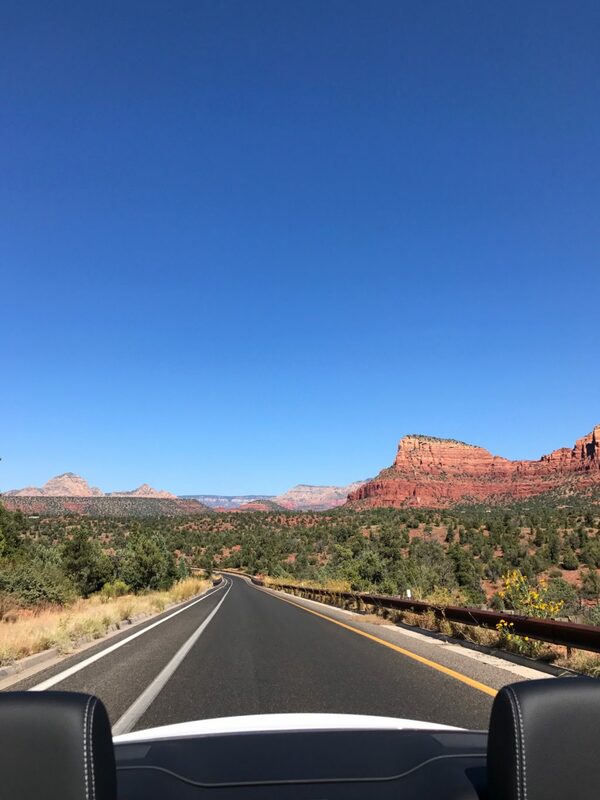 We fell in love with Sedona earlier this year when we took a trip out to the Grand Canyon at the beginning of summer and stayed a night in Sedona on the way up from Phoenix. We have several of the same pictures from Devil’s Bridge and Cathedral Rock. 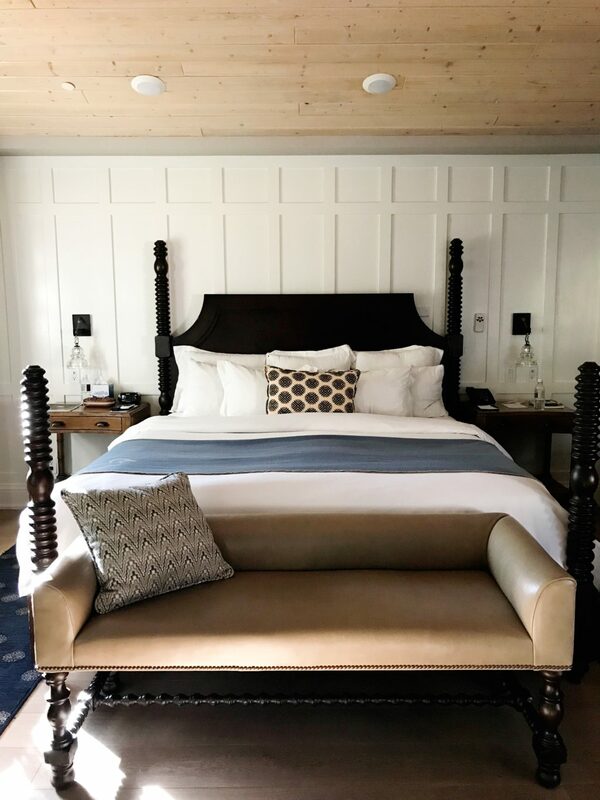 I would have loved an extra night there and have mentioned to my husband several times how fun a trip for two would be even though our kiddos love Sedona, too. 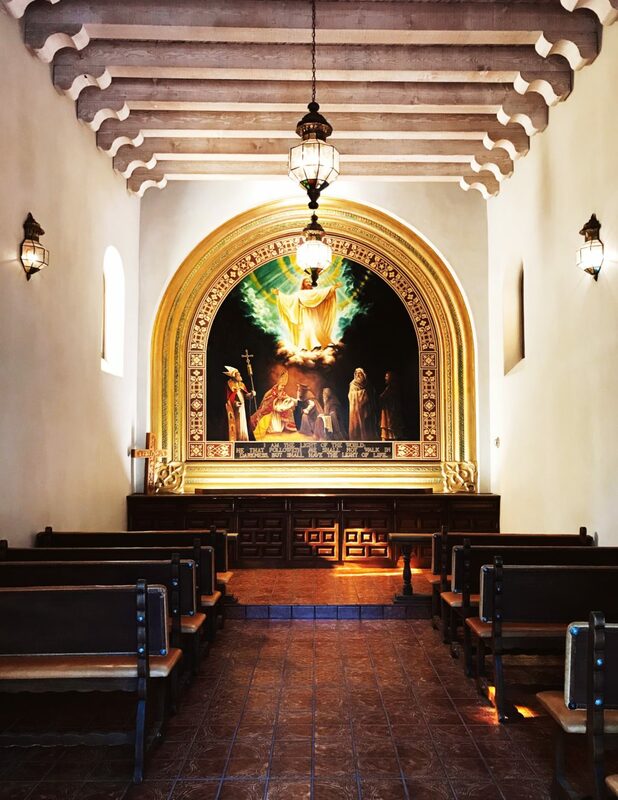 The Chapel at Tlaquepaque. My best friend was married in that beautiful chapel many years ago. Then the reception at L’Auberge de Sedona on the lawn next to the creek. It was beautiful but very hot in June. That sounds like a dream come true!! !